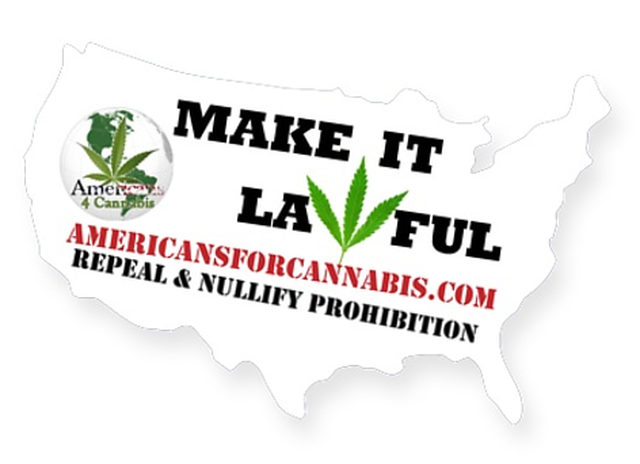 Make It Lawful - Repeal Cannabis Prohibition ONCE And FOR ALL! Thank's to everyone that shared this pledge so far. We are over 400 pledge takers right now. What's impressive is that we gained a 25% increase of people over the last 3 days! With over 100 new pledge takers. Enough of the numbers for now. Just some facts and feedback to help us all be informed of how we are doing. This Pledge belongs to each and everyone of you. Everyone has an equal right to distribute this information freely over the internet. Paste the link of the Pledge on your toolbar for easy access. Then share whenever you like! Once you have signed the pledge, please feel free to join our Make it Lawful group on Facebook. It's an open discussion group for the Repeal of Prohibition members. 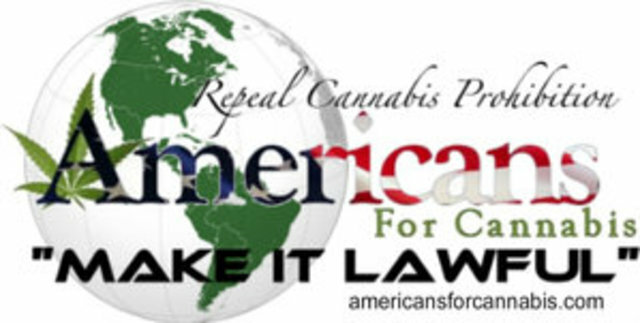 Americans For Cannabis demands that cannabis (hemp, marijuana, THC and other cannabis extracts) be exempted from the DEA's Controlled Substances Act (like alcohol, nicotine, caffeine and other "drugs") and ALL local, state and federal crimi...nal penalties for the cultivation, processing, transportation, distribution, sales, trade, sharing, possession, consumption and use of cannabis for industrial, medicinal, nutritional, spiritual and recreational purposes be repealed. Make It Lawful ONCE and FOR ALL! To educate our community on the true history and facts about cannabis, hemp and marijuana.